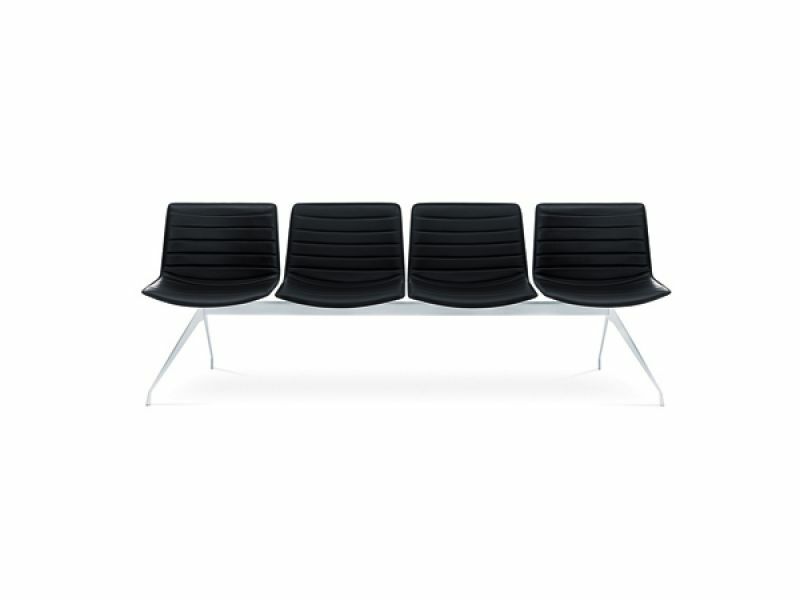 Design Lievore Altherr Molina for Arper 2001. Catifa 53 is the spark from which en entire seating system has been created. A design concept that is stylishly direct in use and aesthetic in appeal. The Catifa 2, 3 or 4 seater position bench system where each position can be fitted with a seat or table. Seats can be in polypropylene, or various upholstery options in a selection of fabrics, leathers, faux leather or COM. 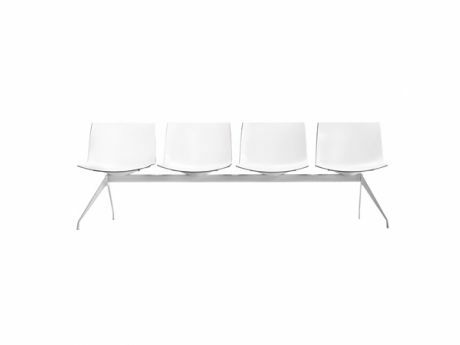 The frame is in white painted metal and can be fitted with a connector allowing two or more structures to be joined together in a row. Mono colour or bi-colour polypropylene shell. Also available with seat pad, facia upholstery or fully upholstered with ribbed stitching detail to seat front. Selection of fabric, leather, faux leather or COM upholstery can be used. Frame in V12 white painted steel.